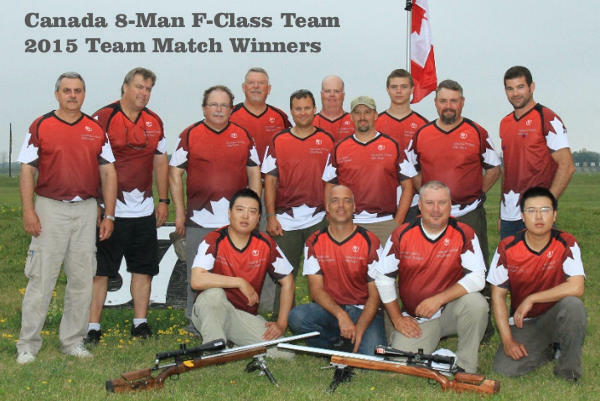 Congratulations to Canada’s combined F-TR and F-Open squad for winning the 8-man National Team Match at the 2015 Canadian National F-Class Championships. Held recently at the Connaught Ranges in Ottawa, Ontario, this year’s F-Class Championship events were heavily attended by American and British shooters as Connaught will be the site of the 2017 World F-Class Championships. At this year’s F-Class Championships at Connaught, there was a special eight-shooter International team event. 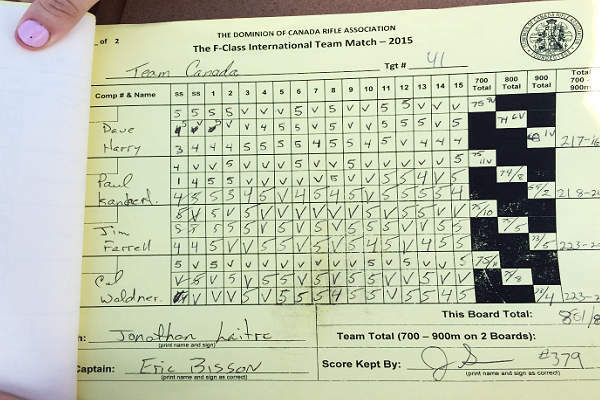 Canada, Great Britain, and the United States each fielded 8-man National teams, with four F-TR shooters and four F-Open shooters. The course of fire consisted of three matches at 700, 800 and 900 meters, respectively. The day started out with unusually low winds, but as the match progressed, mirage became heavy with tricky winds. When the dust settled, Canada was declared the winner with a score of 1743 with 159 V-Bulls, eleven points ahead of runner-up Great Britain and 13 points in front of third place Team USA. Canada deserves praise for its win, considering the strength of the American and British squads. F-TR shooters: Bob Galloway, Dave Harry, Mark Iwanochko, and Paul Kahnert. Share the post "Canadians Win F-Class Team Championship on Home Turf"